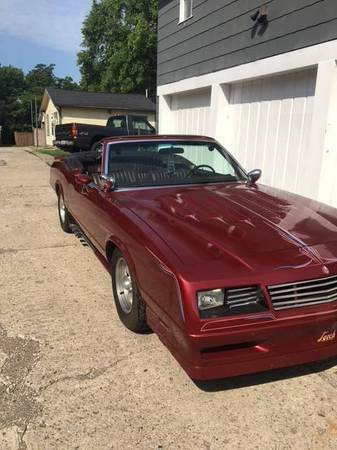 General Motors never made a G-body convertible so I was pretty excited to find a homemade version searching the interwebs. The initial excitement quickly changed to bewilderment when I noticed all the strangely chosen modifications made to the car- as if being a Monte convertible is not unique enough in and of itself. The poor pictures in the listing make some of them difficult to make out, but there is a lot of head scratching and squinting in store once you dig in. Find this 1983 Chevy Monte Carlo for sale in Clarksville, OH for $5,900 via craigslist. Coffee Brake: I used to think that Tesla built the ugliest SUV on the planet with its 2015 release of the Model X because it was just ugly enough to steal the prize from the long time winning Honda Crosstour. The Model X looks like a perfect combination of the Model S and a bloated whale carcass, and it was the winner of the S.U.V. (Super Ugly Vehicle) prize until I spied something in traffic that caught my eye like a festering gangrenous middle finger on a cellist. I winced like I'd just noticed a half eaten clump of short 'n' curly hair in my fish taco -- and my pyloric valve sealed shut like an airlock on the International Space Station. They call it a coupe, but the Mercedes-Benz GLE Coupe is neither a coupe nor a car..tis a monstrosity that belongs in Davy Jones' locker. It might not say in his official autobiography, but I'm pretty sure that Sebastian Vettel started his racing career in a Saturn SL2 with an automatic transmission -- and now he races a Fiat in F1, so that could be you for a small hunk of cash. 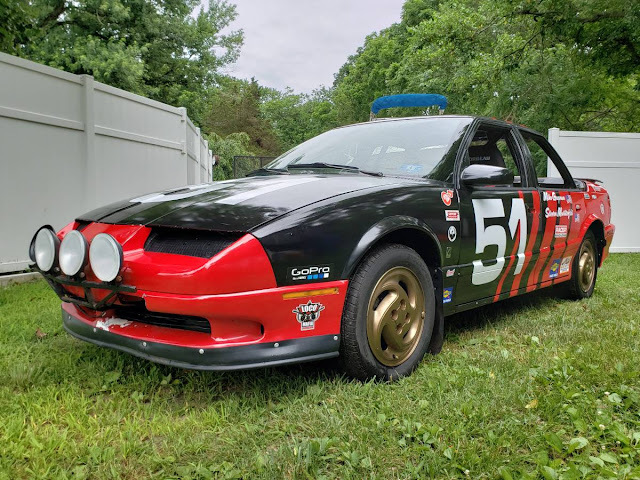 Find this 1994 Saturn SL2 Race Car offered for $1250 in South Jersey, NJ via craigslist. Tip from Jeff S.
The E39 generation of BMW's M5 brought V8 power and much needed injection of torque to the big 5-series bruiser in 1998. The M5 was available as a sedan, but BMW never released a properly awesome wagon version, so you had a settle for a 540i if you wanted the dog friendly rear space...however, somebody solved that problem with this next car. 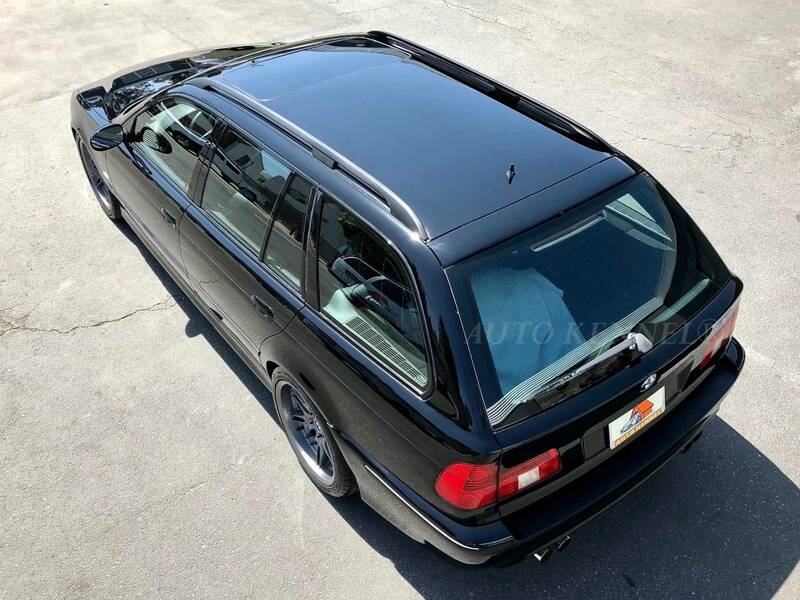 Find this 2000 BMW M5 Touring offered for $24999 in Costa Mesa, CA via craigslist. Tip from Sean S who asked if we can bend the $20k rule for once...yes! 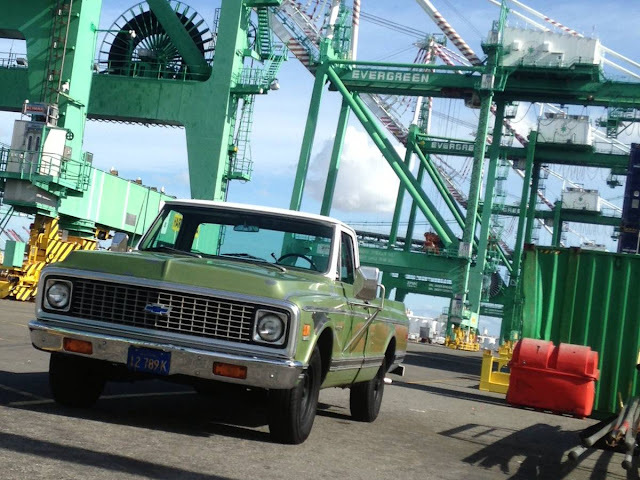 Personal two door coupes sold by the truck loads in the 60's-70's-80's, but are hardly produced any longer in 2018. Today's Impala coupe has been given a Grand National style black out treatment and the results look almost vintage AMG like by my eye. Under the hood features a Chevy LS swap that should motivate the car much more than the stock engine. The unique three sided rear glass is not likely something you would want to find a replacement for at this point in time. Find this 1978 Chevy Impala for sale in Fernandina Beach, FL for $9,000 via craigslist. Most any V8 swapped rwd Volvo is worthy of being featured here at DT, but today's example is the creme de la creme of the breed. This wagon has it all and it's turbo charged 5.0 Ford goes the extra mile to poo-poo any naysayer who says these swaps are not that fast by 2018 measures. I am not sure how much boost a Fox body era 302 can withstand, but it would be a lot of fun to find out. 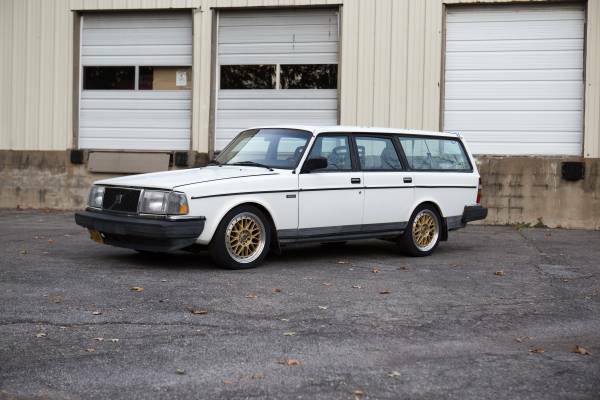 Find this 1989 Volvo 245 wagon for sale in Blacksburg, VA for $5,500 via craigslist. Tip from Molotovmotors. Craigslist definitely is the proverbial box of chocolates. Today's feature proves this point beyond a shadow of a doubt by solving a problem that DT readers very likely did not know existed. Is your ride too nice and providing bait for gold diggers to drain your fortune? Our seller thinks he has just the solution for the problem with his cheap and reliable, but ugly H platform Bonneville. 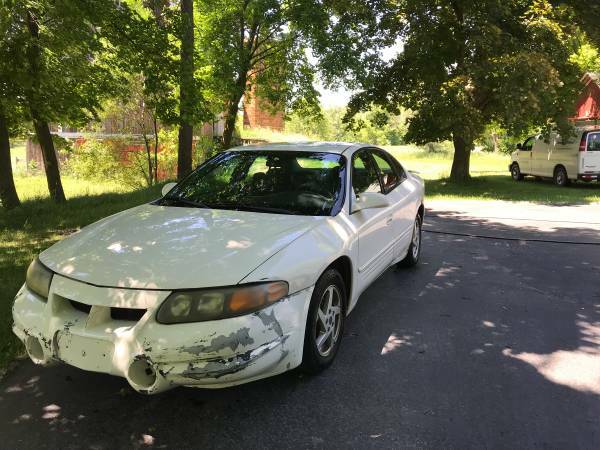 Find this 2004 Pontiac Bonneville for sale in Oxford, MI for $950 via craigslist. A casual observer might suspect that an MGB GT with a roarty exhaust sound an a big round chromey air cleaner would be powered by an American V8..but you've be 2 cylinders off in your estimation, because this next British Rat Rod is powered by a Chevy V6. 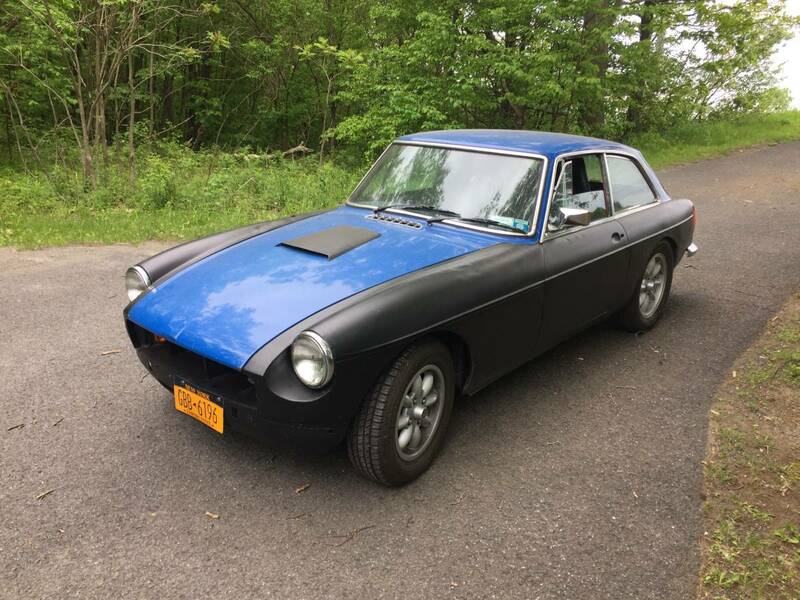 Find this 1974 MG BGT offered for $7000 in Albany, NY via craigslist. From Cory. The Subaru Forester with a turbo is a seriously quick vehicle and something of a budget STI. The main difference on the 2.5 engine in the Forester is fitted with a much smaller turbo than the STI, but not to worry as many STI owners ditch their factory turbo so they are easily found second hand. It is quite challenging to find one these Forester's with both a turbo and a 5 speed manual trans, but that is exactly what we have with today's feature. 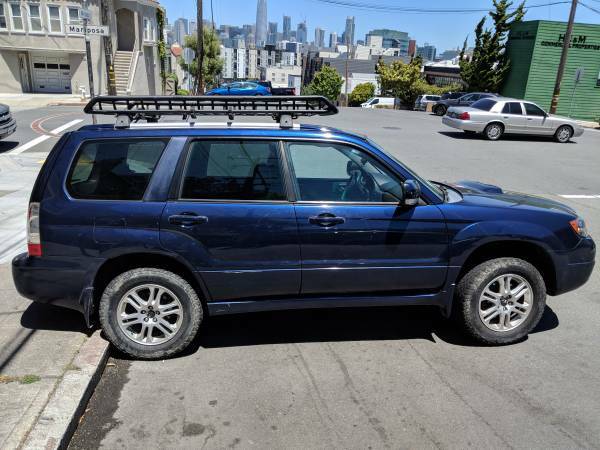 Find this 2006 Subaru Forester XT for sale in San Francisco, CA for $7,000 via craigslist. Tip from fuel truck. There is no better time to buy up a clean General Motor G-body car than right now. 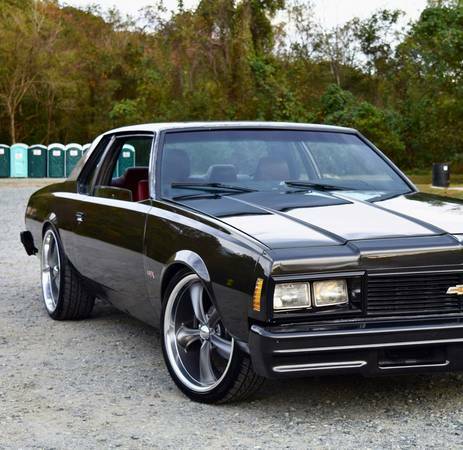 Variants included the Chevy Monte Carlo, Oldsmobile Cutlass, Pontiac Grand Prix, and Buick Regal. These were the last cars to follow the classic V8 rwd muscle car formula. The Grand National was a collector car when new, but in 2018 it is easier than ever to create a restomod version any of these cars. When they were new, G body V8 engines produced a paltry amount of power even in higher output Hurst or SS trims. With the info all over the internet, it is easier than ever to create a 400+ hp V8 be it some LS version, big block, or turbo anything. Today's Monte has a older school 355 set up that might not be a LS, but still delivers the goods. 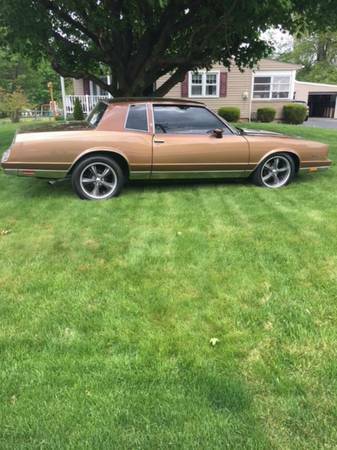 Find this 1981 Chevy Monte Carlo for sale in Pittsburgh, PA for $9,500 via craigslist. The Volvo 122S/Amazon is a 50's styled classic Volvo that normally doesn't cost an arm/leg to purchase, drive or restore. Prices have gone up for the "sporty" 2-door version in the past few years, but you can still find a 4-door 122S for next to nothing...and that is a good thing indeed. 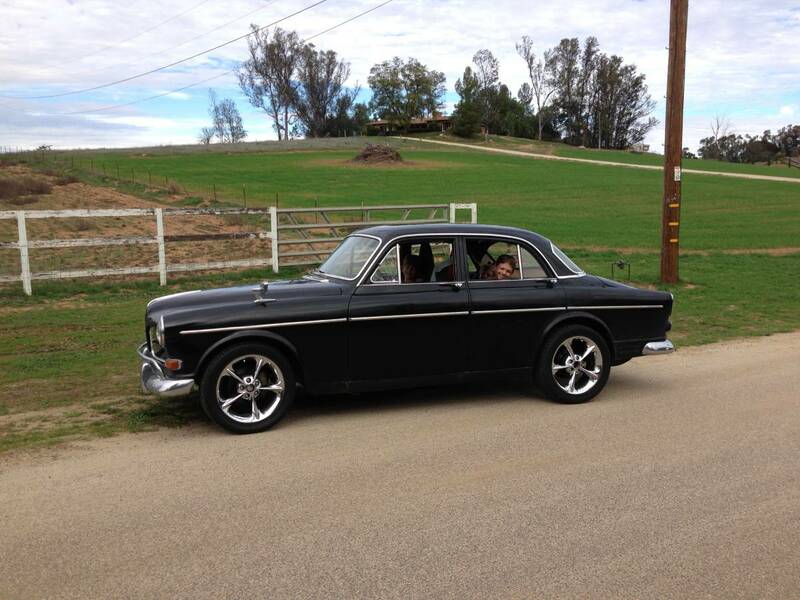 Find this 1964 Volvo 122S Amazon offered for $3,500 in Ramona, CA via craigslist. Tip from Rock On! Oh boy. Whenever somebody sends in something like this, I have to cringe. Not because the car itself is a repugnant abomination beyond forgiveness and an offence against taste and decency, but because I can see future and the future goes like this: I write something snarky, people in the comments feed on that seed of revulsion and then 2 years later the owner/builder/seller finds this site and goes all rain man in the comments about how we've stolen photos and the commenters are loathsome communists who wouldn't know a good idea if it fell out of the bottom of a 747 and hit them in the head like a piece of supersonic blue ice. Anyway...find this 2019 US Econo-Car offered for an undisclosed amount of cash located in Tucson, AZ via craigslist. Tip from Peter. The third and final generation Lincoln Town Car was sold from 1998 until 2011. Panther platform fans, taxi companies, and police departments all over the US bemoaned the eventual death knell of body of frame Town Car, Crown Vic, and Grand Marquis. 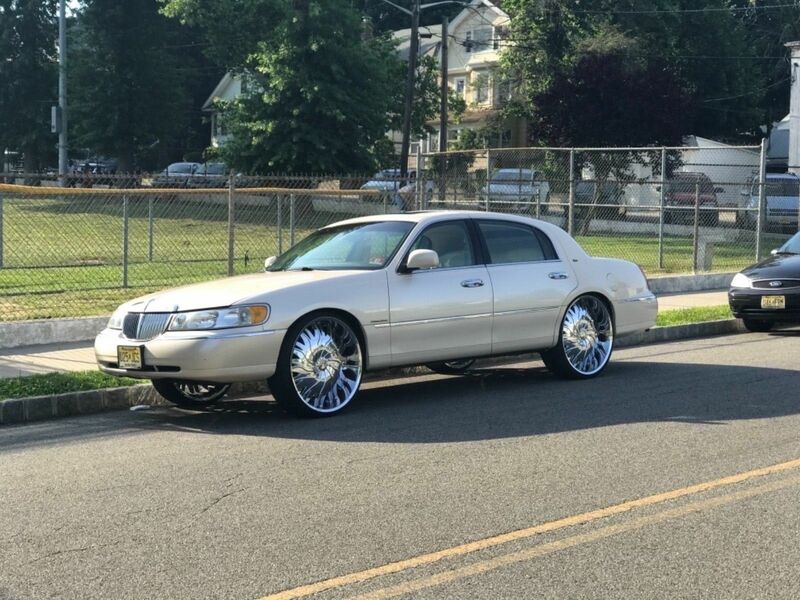 Town Cars came stock with 16" wheels fitted with tall smooth riding 60 series tires. Today's feature goes way in the opposite direction by fitting a absolutely bananas set of 26" wheels and rubber band tires to donk out this poor TC. Find this 1998 Lincoln Town Car for sale in Orange, NJ for $4,495 or B/O via eBay. People on the interwebs use the term "LS" to describe just about any small block Chevy V8 from the last 20 years -- but the more accurate term is the Gen III, IV, & V small block V8. Gens I & II were based on the original 1955 small block V8, but in 1996, GM released the first version of what has become the most desirable engine swap candidate since the original Gen I/II small block. Anyway, today's "LS" has found its way into a 1971 Chevrolet C20 Longbed offered for $8,500 in San Fernando Valley, CA via craigslist. Fewer cars have a worse reputation for being a cheap ride than the Dodge/Plymouth Neon. It is true that the interior materials used in these cars is low rent, but the layout is decent enough and very functional. First gen ACR model Neons made due with same DOHC engine that was available on lesser models. It wasn't until the second gen car was introduced that Dodge blew the horsepower doors off the competition with the 2.4 turbo engine. Today's feature has the very best of everything in the Neon universe on this R/T two door. 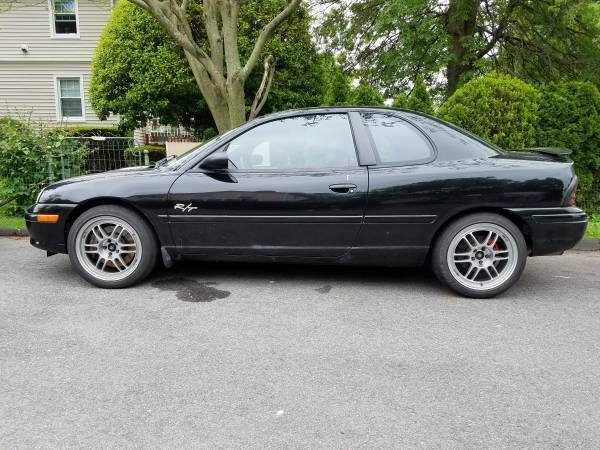 Find this 1998 Dodge Neon R/T for sale in Mamaroneck, NY for $8,500 via craigslist. One of the biggest knocks on the Disco era Corvette's is the lack of power from the strangled 350 V8 engines. In 1978 for the 25th anniversary, you could get a 220hp option which was a nice upgrade over the base 185hp. The biggest exterior change for 1978 was a new fastback design and the removal of the rear flying buttress sail panels. Today's car really turns up the wick in the power department with an addition of a Procharger on a 383 stroker engine to the a claimed 580 hp. The stock three speed automatic has been swapped in favor of the later 700R4 overdrive unit. 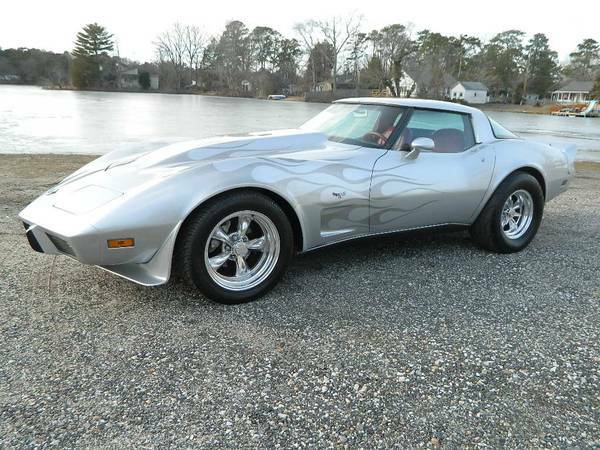 Find this 1978 Chevrolet Corvette for sale in Newfield, NJ for $18,500 via craigslist. Nearly everyone has some version of a smartphone so you would think it would be relatively simple task to post clear photos of a car for sale. I am continually amazed at sellers indifference to posting decent photos. From time to time, you get a seller that thinks just because they are selling a cheap car that it gives them a free pass to post no photos or to get indignant when asked for more. 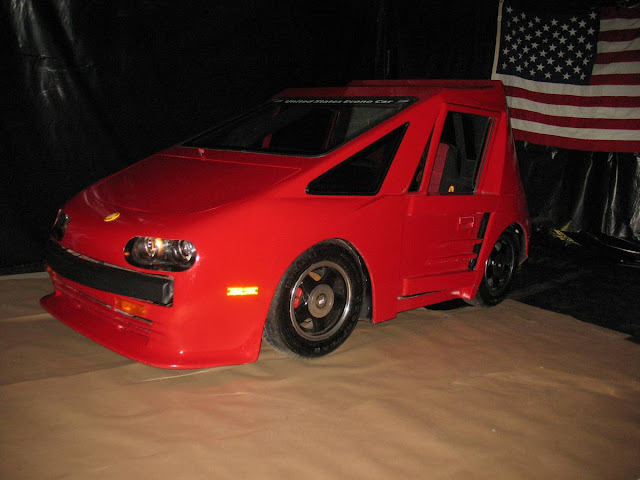 A Cadillac Northstar V8 swapped Fiero gets people's attention around the pages of DT, but it appears the seller this car applied a coating of Crisco to the lense of his camera before shooting these pics. 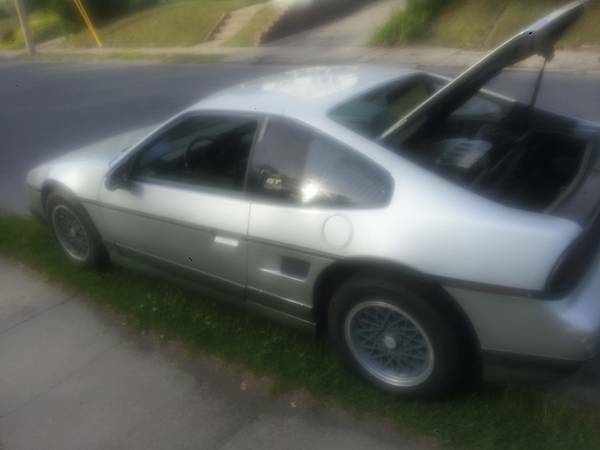 Find this 1987 Pontiac Fiero for sale in Rotterdam, NY for $2,900 via craigslist.